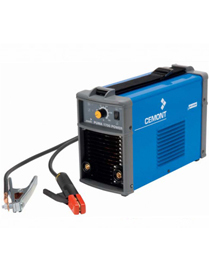 Cemont Welders, plasma cutting machines and battery chargers are available from Telford Group. We are the official appointed UK importer and distributor for all of their products. We offer a full range from our Telford showroom and warehouse. 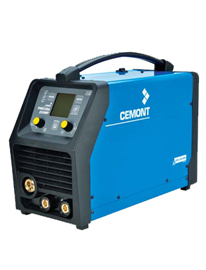 Cemont is an Italian company with the highest reputation in the field of welding equipment, plasma cutters and battery chargers. They now offer a much more complete range of equipment including MIG, TIG, MMA (Arc) Welders and Plasma Cutting machines. Since 1995, they have had ISO 9001 certification. Their product testing is the main step of the production process. This pays attention to the overall quality and safety of the product. Before the packaging, they carry out operation and safety tests on each product. They do this by reproducing working conditions. Their whole range of products has been designed and developed in compliance with the International Standards of the countries in which Cement's quipment is sold. 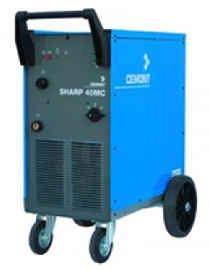 This means you can purchase Cemont Welders and equipment with peace of mind. 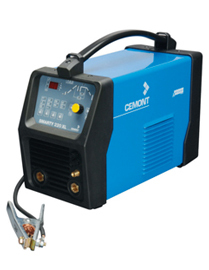 Telford Group Ltd have been supplying Cemont welders and other machines for over twenty years. We offer servicing and repair on the full range of Cemont machines. Our service department has ears of combined knowledge of the brand and products. We hold an extensive range of replacement parts for current and previous models. This shows our commitment to supporting their brand in the UK. At our 5000sq ft showroom, we have a wide range of Cemont’s products on display. With our customer service, working together with superior products, you can have absolute confidence in whichever machine we supply you with. Our specialists can assist you in whichever way possible. Simply talk through your desired application and we suggest the ideal equipment for you. For more information about Cemont Welders, give us a call.